Connnietang: What Does The Fox Say? What does the fox say? Ring-ding-ding-ding-dingeringeding! Gering-ding-ding-ding-dingeringeding! Sweater: Fox Graphic Crew-Neck Sweater from Old Navy, here. Steal: Fox Graphic Crew-Neck Sweater from Old Navy, here. 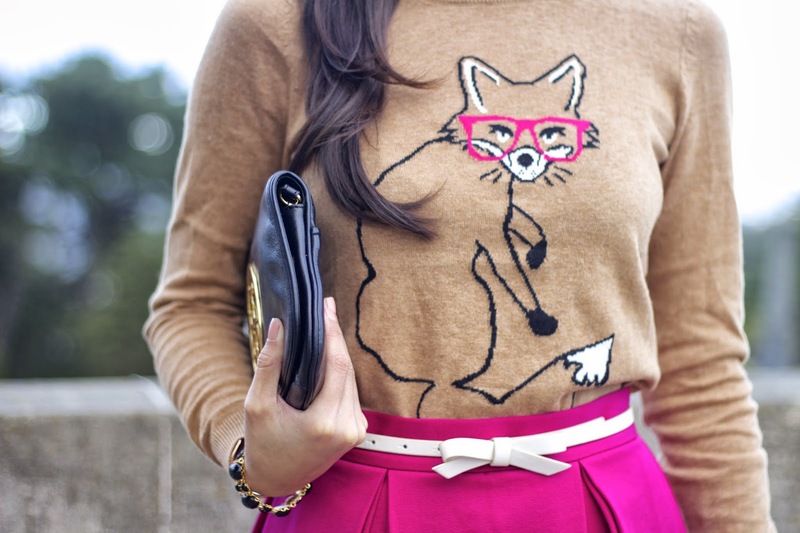 Splurge: Coincidence & Chance Foxy Geek Sweater from Urban Outfitters, here. Steal: Chiffon Midi Skirt from Forever 21, here. Splurge: Heavy Crepe Full Skirt from Topshop, here. Steal: Another Line Faux Leather Bow Belt from Nordstrom, here. Splurge: Bow Leather Belt by kate spade new york, here. Sunglasses: Beverly Sunglasses thanks to Polette, here. Steal: Beverly Sunglasses from Polette, here. Splurge: Gucci 57mm Sunglasses from Nordstrom, here. Bracelets: Aberdeen in Jet thanks to Tryst Jewellery and Basic Cuff thanks to Bare Collections. Steal: Classic Chain-Link Bracelet and Glam Open Cuff from Forever 21. Splurge: Aberdeen in Jet from Tryst Jewellery and Basic Cuff from Bare Collections. Steal: Gone Boho Knuckle Ring from Forever 21, here. Splurge: Lucas Ring from Robyn Rhodes, here. Steal: Modernist Trapeze Crossbody from Forever 21, here. Steal: Leanora Pump from ALDO Shoes, here. Splurge: Topshop Peep Toe Sandal, here. This is such an extremely cute outfit!! 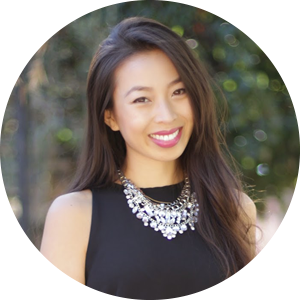 And I need to tell you that I really love your blog! I will follow you from now on and I am happy to see more of your posts :)! um cutest.outfit.ever. Ha, I seriously love! Sadly I have come across the video and despite it's ridiculousness - I can't get it out of my head either. The outfit you styled here is so beautiful, I really like the rose and camel combination. Haha.. yeah that video is beyond words. :) and thank you! That sweater is so cute! I loveeee this post! The pop of pink is really nice.